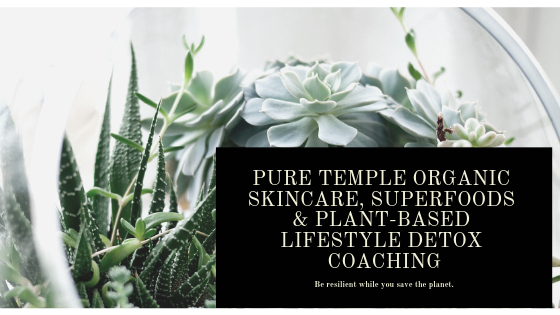 Plant-Based Lifestyle Coaching & boutique curated Organic & wildcrafted Products to help you live your most resilient & abundant life. Hello! As a Plant-Based Lifestyle Consultant, I am available to help with everything from coaching to a virtual walk through the grocery store. I am also a CMT, Canine Massage Therapist and believe in a holistic approach to animal (and human animal) wellness. If you are new to veganism or wish to explore ways to incorporate a plant-based diet into your lifestyle I can help you with my knowledge of raw plant based foods and sprouts as well as food combining. The average person puts on 200 toxins by 9 am. We trust that the world has continued in the same rather pure state it was in in the 1950’s and prior but the truth of it is that corporations have spewed toxins into our air, water and soil and continue to damage the earth and all its inhabitants with a continual onslaught of chemicals that nobody has researched their effects coupled with being mixed in the wider world with all the others toxic chemicals out there. After studying all of 2016 with Hippocrates Health Institute, I became passionate about sharing what I know to help everyone gradually detox, from home care products and laundry soap to toothpaste and mascara. I became an Affiliate and Brand Partner with several organizations to offer the best choices on the market that work effectively, are eco & animal friendly and what I believe offer the best style, selection, potency, price and value for what they do. Feel free to ask any questions and post comments!